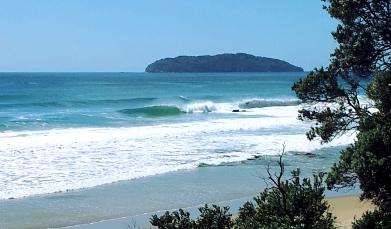 Spend 2 full days surfing the best waves on offer within the Auckland surf region, while I take care of the logistics and provide coaching that works on the foundation of your surfing. 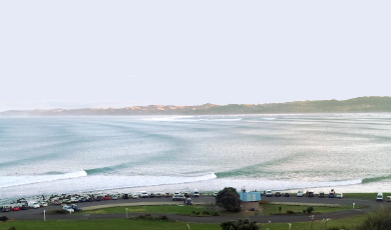 Auckland has a wide-range of surf spots within a few hours drive. The trick is being in the right place at the right time. 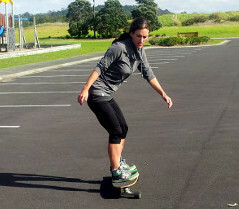 Rather than having a fixed location, the Auckland Surf Camp is mobile so that we can maximise the chance of scoring. If swell is rolling in from the tropics, we’ll be scouring the east coast for uncrowded a-frames. If the wind blows from the east, chances are we’ll be out west enjoying peaks fanned by an offshore breeze. The coaching is fully tailored to the “average” surfer and isn’t the typically vague advice you’ll find online. Rather than work on particular moves in isolation, we’ll work at a foundation level to make specific manoeuvres much easier down the track. You will be coached in a holistic manner that combines theory, land-based training techniques, video coaching and tips on mindset. Who is this Surf Camp for? 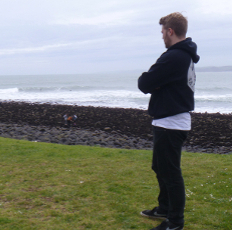 The Auckland surf camps are for Level 3 and Level 4 surfers, you can check your level here. Great weekend at the Raglan coaching camp. Already come on loads and wave count has gone way up! Andrew was able to pin point specific issues that were holding me back and has helped loads with progression while being able to keep the tuition fun. Looking forward to another camp! Wanted to say a huge thank you for your dedication over the weekend! I enjoyed every aspect of the surf coaching immensely and even though the conditions were not necessarily in our favour I have come home with plenty of areas for improvement to put into progressing my surfing! I was also really impressed by the land based coaching – it’s brilliant to have exercises I can practice out of the water, which are already building my eagerness to get back in the water and apply them! 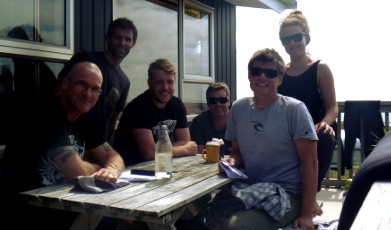 Hanging out and sharing stories with other surfers of the same level who are also determined to improve their surfing. Exploring the coastline each day for the best waves on offer, surfing new spots and hopefully escaping the crowds. Knowing that someone is on the beach filming all your waves so that you can review it later on. Analysing your surfing technique using sports coaching software – pinpointing various aspects and making comparisons to pro-surfers to highlight the changes needed. Fine-tuning your pop up – the most underated part of surfing – so that you can take advantage of faster and bigger waves. Being delivered to the best waves on offer daily, no need to plan or organise, just focus on your surfing. Enjoying a relaxed vibe, chilling out in between the surfs and theory sessions in a cool location. 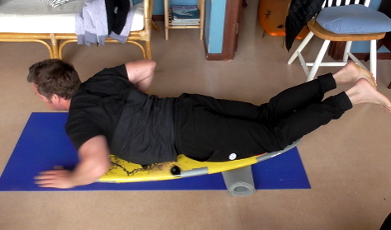 Experimenting with skateboarding, training and other methods for improving your surfing on land so that you can take these ideas away with you and keep improving. The Location will depend on where the best surf is. 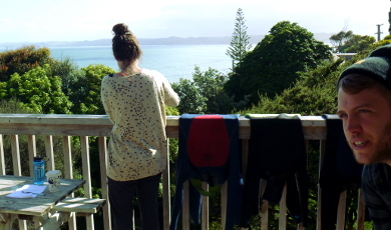 Possibilities include Bay of Plenty, Coromandel, Raglan, Auckland’s North Coast or the West Coast. After watching the forecasts I will lock in the most suitable venue in the week before the camp. Accommodation: I will hire a beach house to use as the base for all the training sessions and for hanging out between surfs. So you have the option of staying at the house or finding somewhere yourself. The house will be of as high a standard as possible and you will be able to use the kitchen facilities for meals if you want to. Schedule and Transport: The surf camp will begin early on the Saturday. You can drive or make your own way to the camp location and we will meet at the house or the beach if we decide to go for a surf straight away. If you don’t have transport, I can arrange for an early morning pick-up from Auckland. The camp will finish mid afternoon on Sunday. You will need to bring your own board(s) and wetsuit and anything else you’d usually take on a surf mission, clothes you can do some exercises in, and suitable shoes for skateboarding are also a good idea. There will be a maximum of 6 people to ensure quality coaching. What happens if the waves are no good? It’s nice to have good waves for the camp but it isn’t vital. You’ll find that your main insights will come during the land-based sessions and even if the waves aren’t so great you’ll still come away with a solid plan for improving. People sometimes think they need to be filmed in great waves, surfing at their very best for video coaching to be worthwhile. But, that’s not the case. Average or small waves will often give a truer picture of your issues. This camp is mobile and I’ll do everything I can to get good waves but we’ll only call it off if there is absolutely no waves on offer. In that case we will try and re-schedule for a later date. Typically, what kind of waves are you looking for? Waves that are suitable for the level of the surfers on the camp. 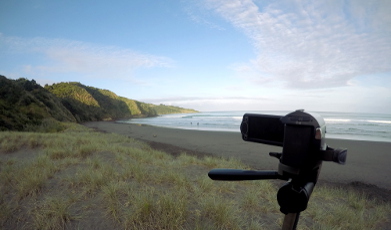 We want conditions that will allow us to get good footage of all aspects of your surfing. You won’t be pushed out in conditions that are far beyond your comfort zone, but you can attempt more challenging conditions with support if you’re keen. Do you sometimes have quite a difference in the surfing ability of the group? The camps are grouped by level as much as possible. It doesn’t matter if you are the most or least skilled surfer on the camp, you will still get coaching focused on your needs and suitable waves to surf in.